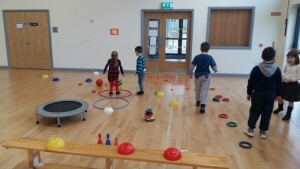 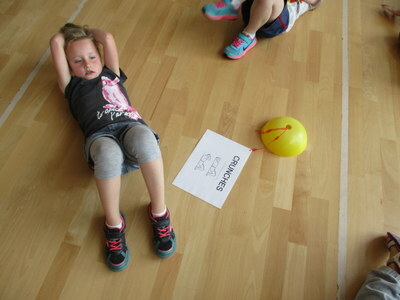 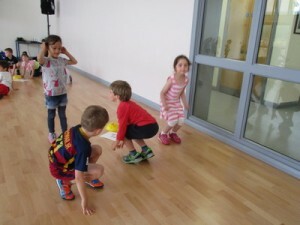 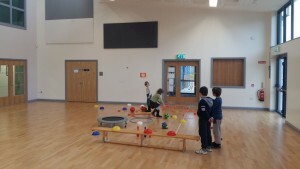 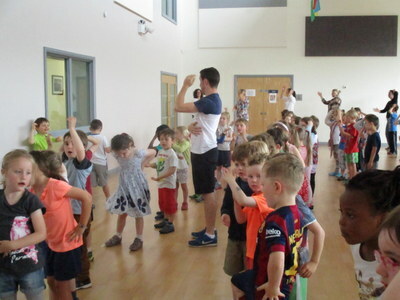 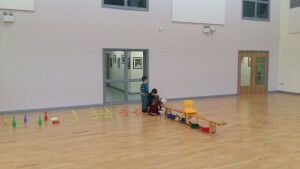 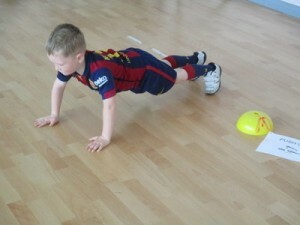 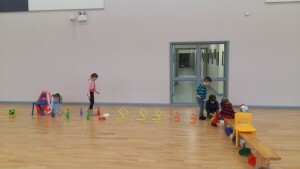 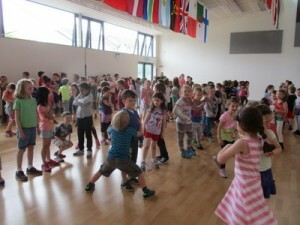 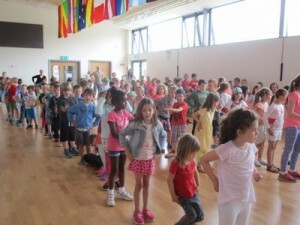 Junior Infants enjoyed Circuits during Active Week. 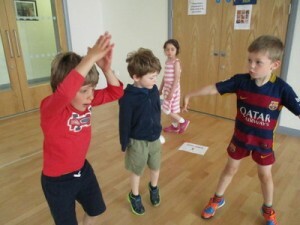 We’ve had a fantastic Active Week so far. 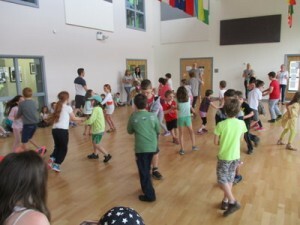 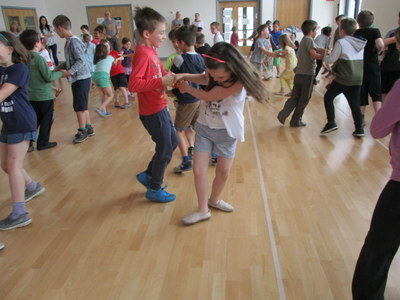 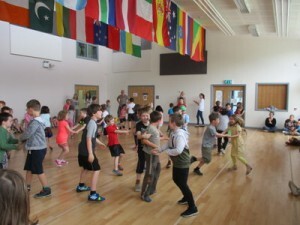 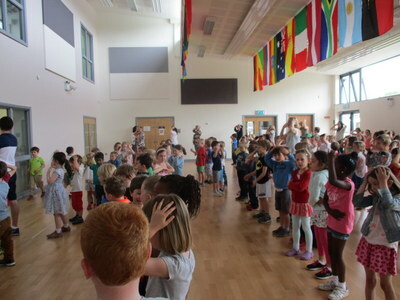 From our “Wake and Shake” dances in the morning to our football tournaments, circuit activities and treasure hunts we’ve been extremely busy! More photographs to be uploaded soon. 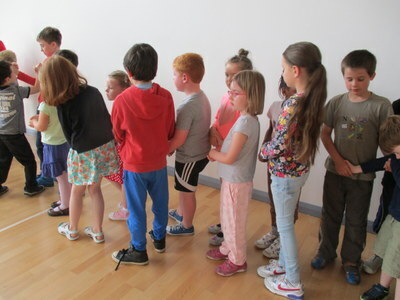 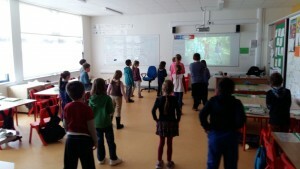 We had a blast during our school tour to Let’s Go camp in Kilcullen. 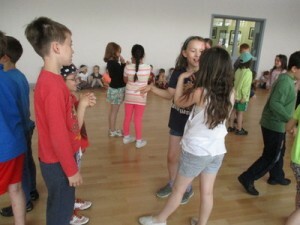 Here are some photos of us! 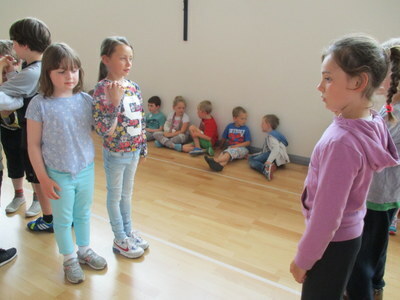 Well done to Kara, Rose and Mai for their achievements in show jumping. 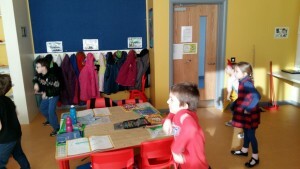 We were really lucky to be visited by Sarah from the Road Safety Authority a few weeks ago. 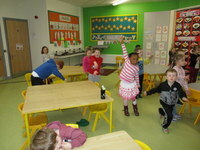 We learned a lot about the safe cross code and safe cycling. 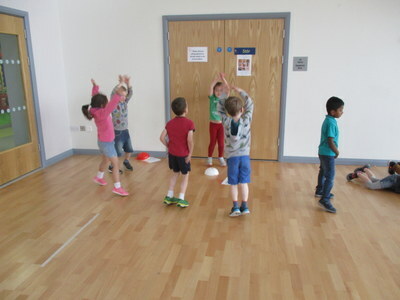 Here are some great photographs of our students in Tag Rugby and in After School sports club on Mondays and Wednesday’s respectively. 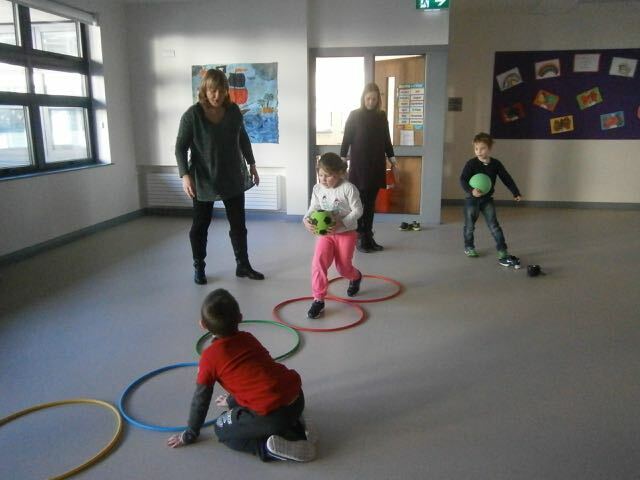 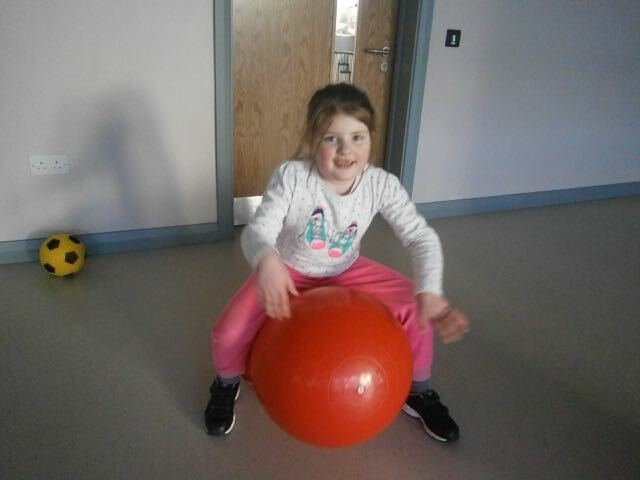 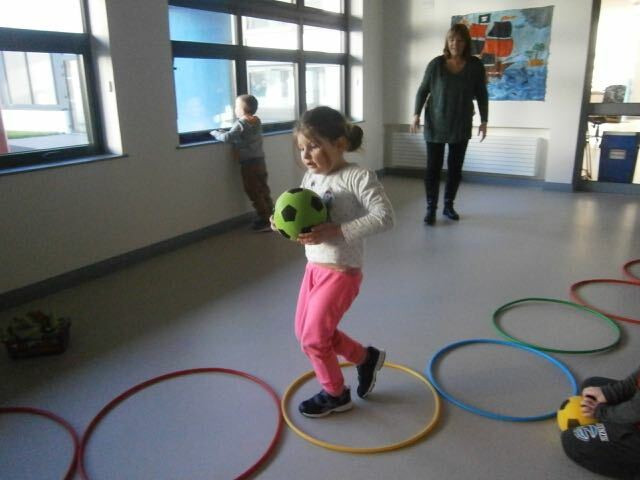 Aisling’s class are keeping active with weekly football training and lots of movement breaks during the day! 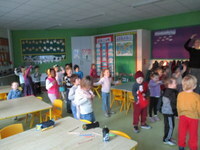 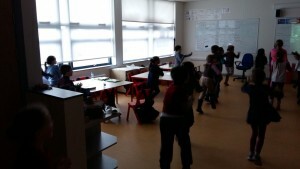 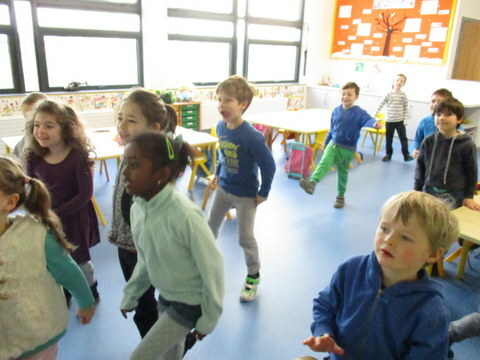 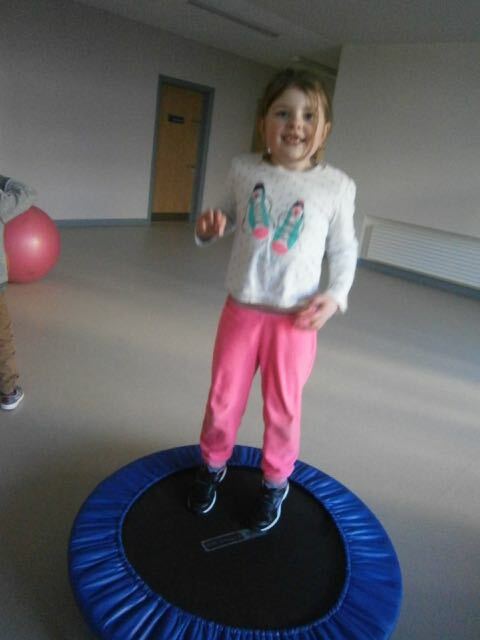 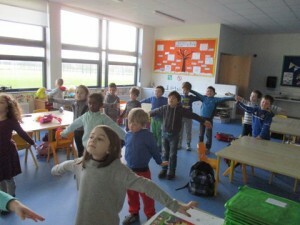 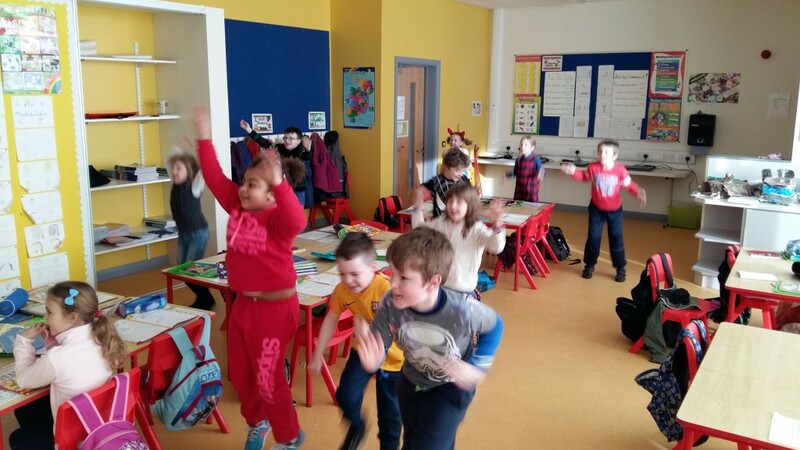 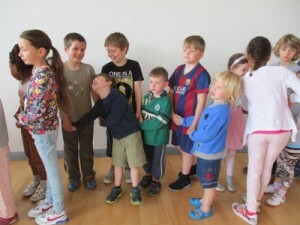 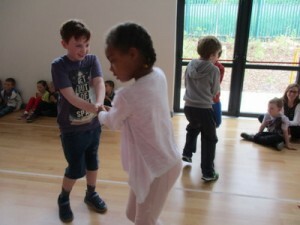 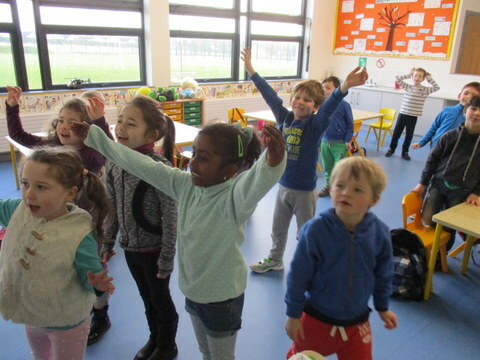 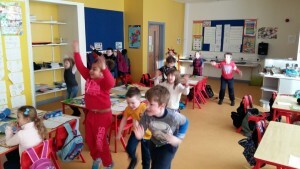 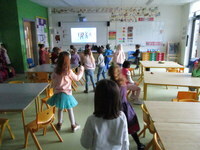 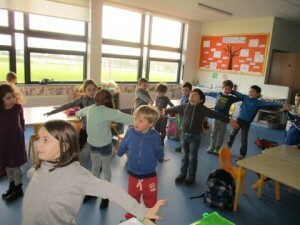 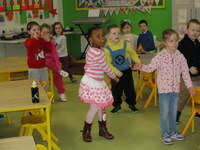 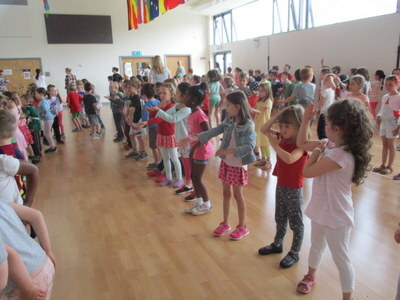 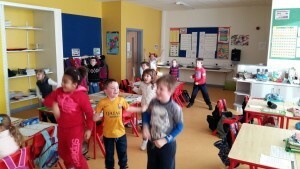 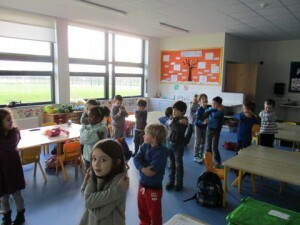 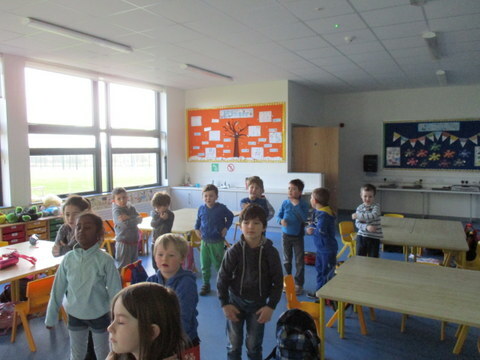 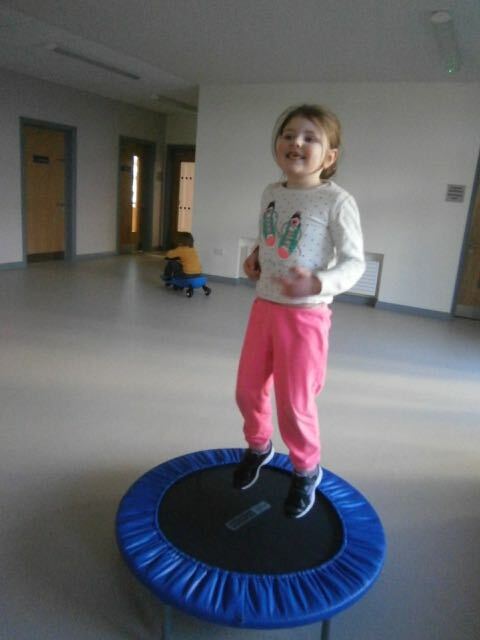 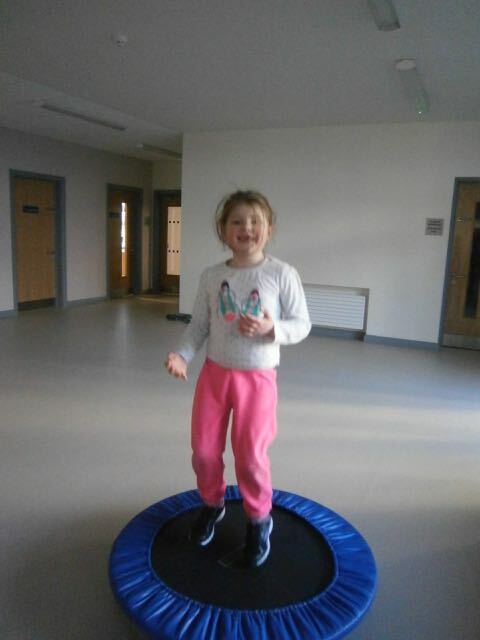 Orla’s Junior Infants love active breaks during class especially dancing! 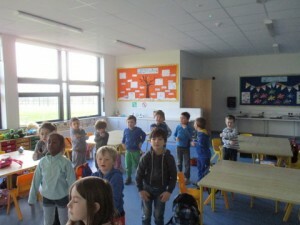 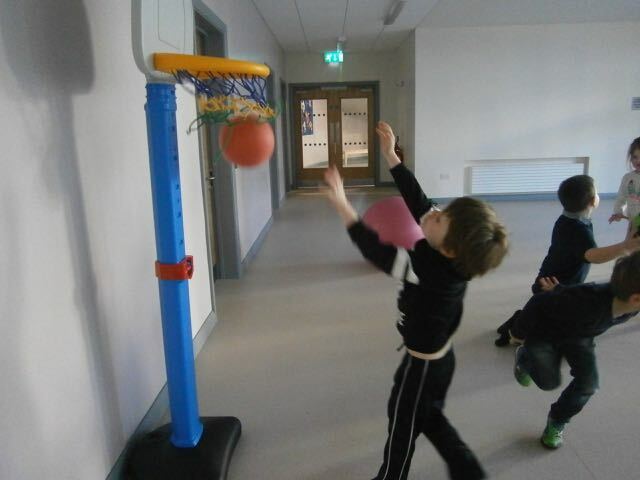 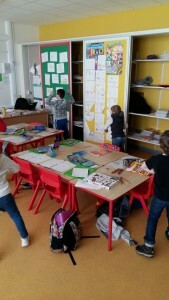 Christine’s Senior Infants class have been taking lots of activity breaks between their work. They are really enjoying getting out of their seats, stretching and getting their hearts beating a little faster between all the hard work they have been doing!! 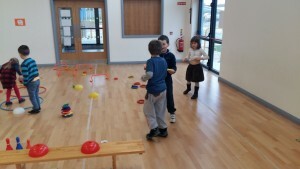 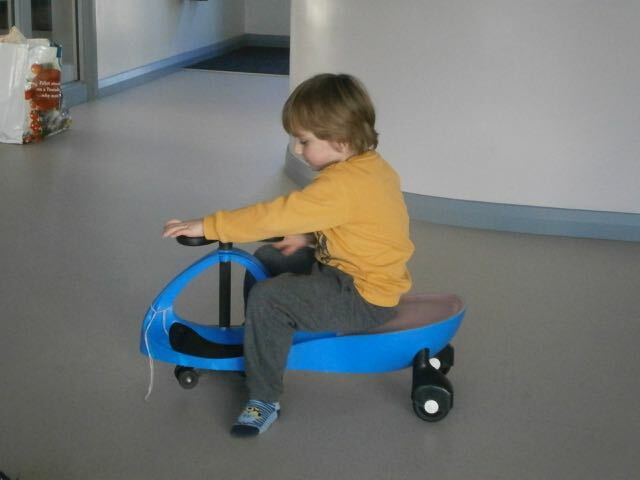 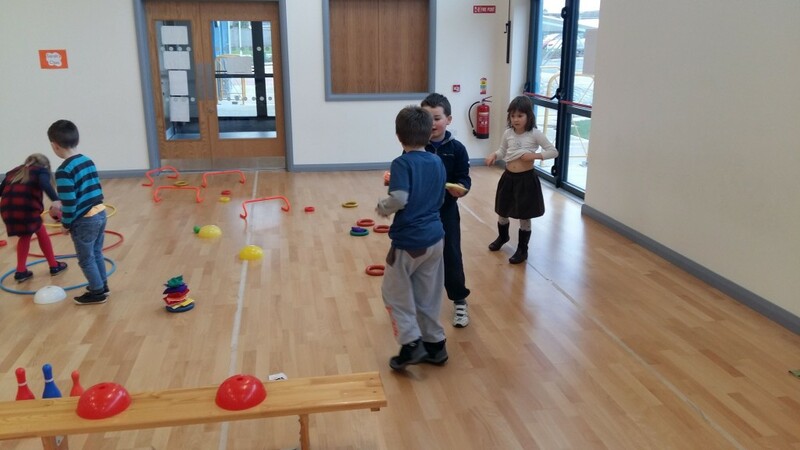 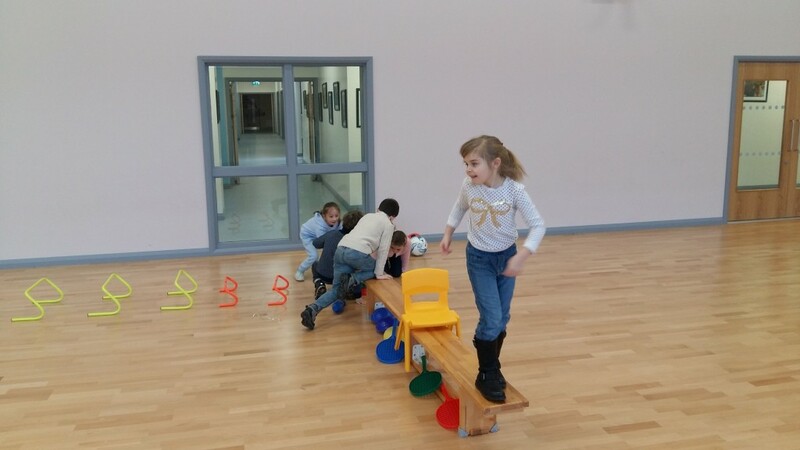 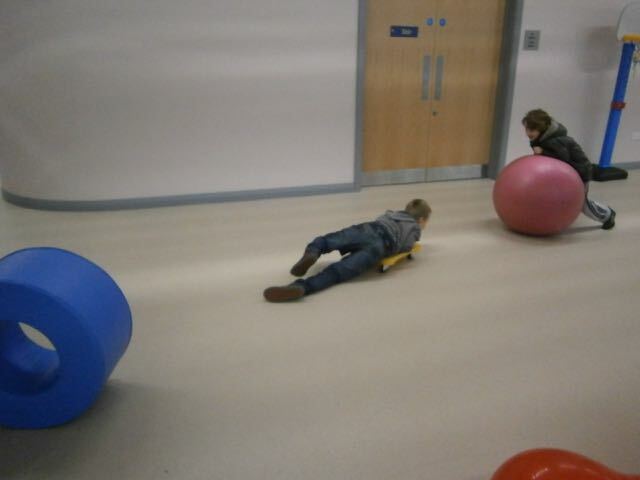 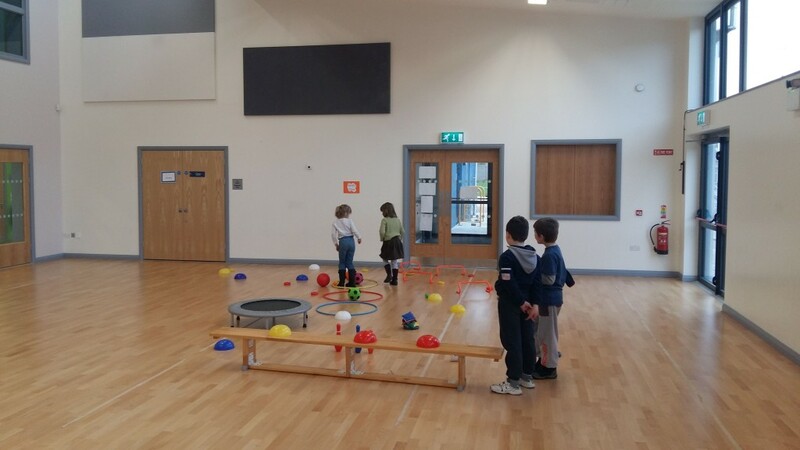 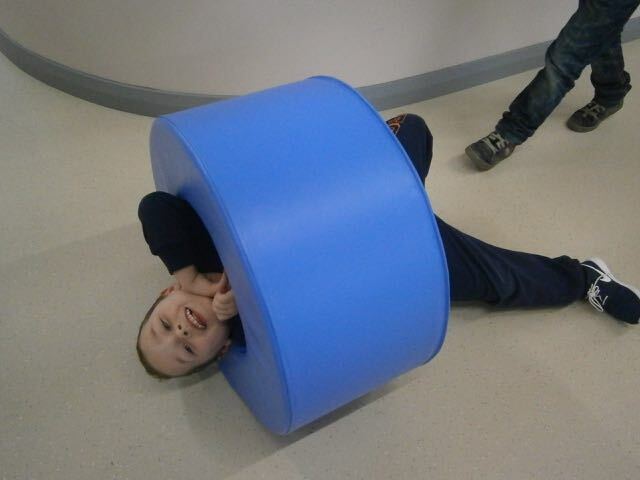 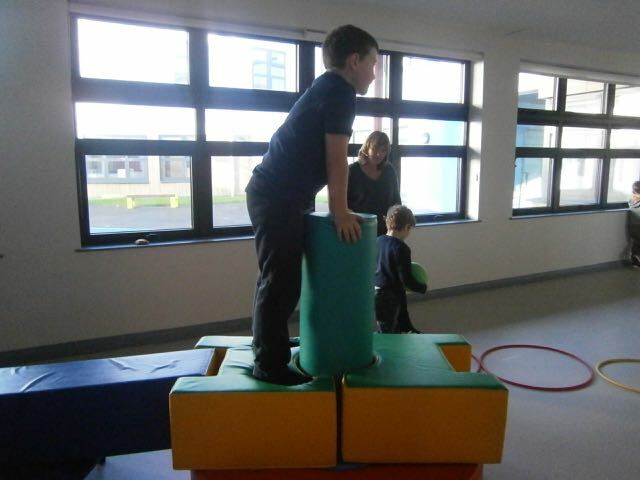 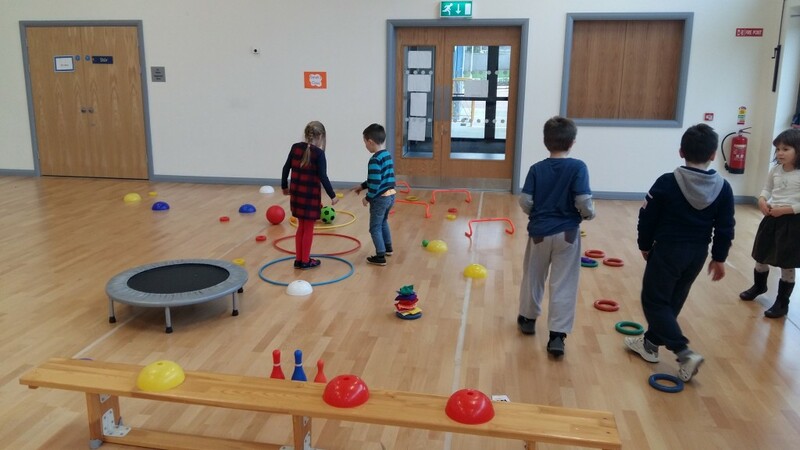 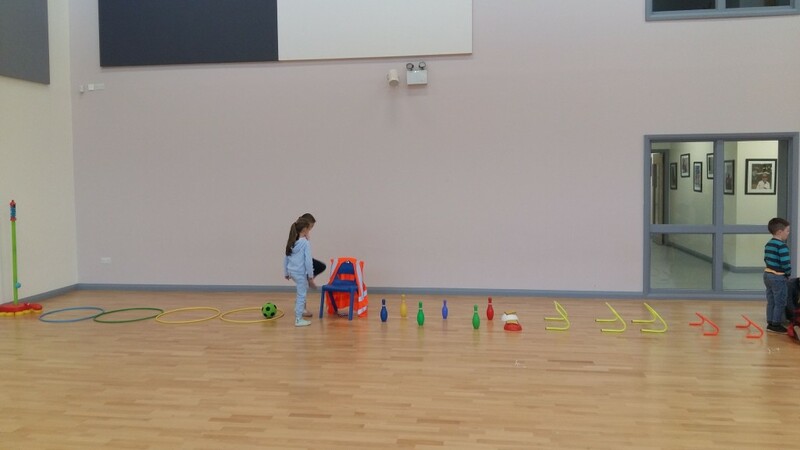 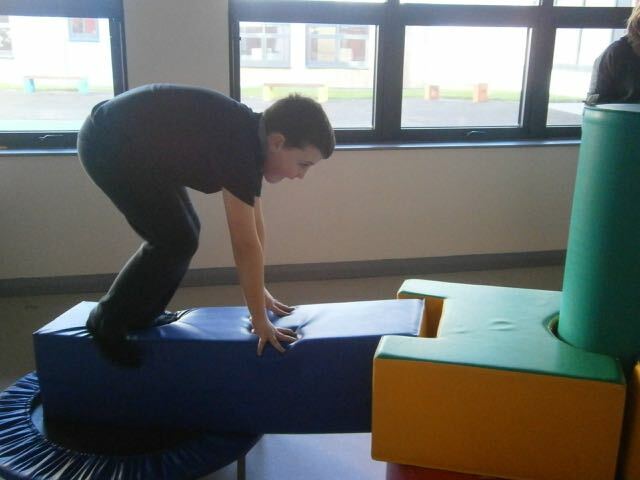 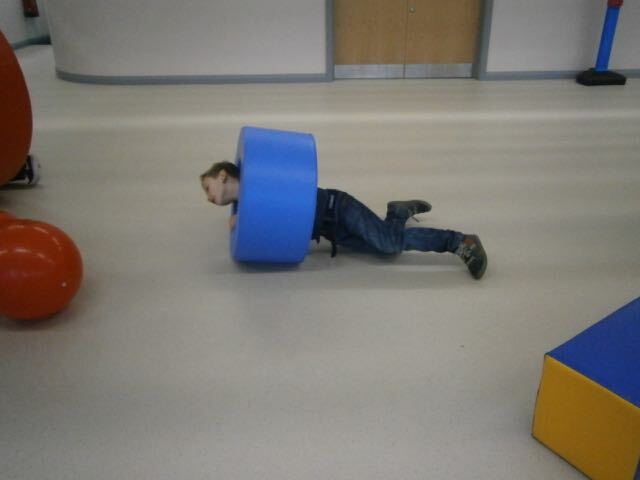 Jonathan’s First Class explored spatial awareness in Maths by making their own obstacle courses! 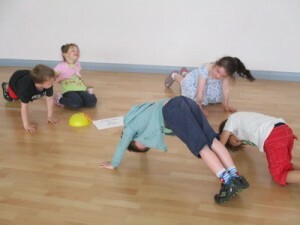 Here are some photos of Josh’s class doing some fantastic gymnastic moves! 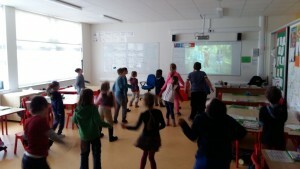 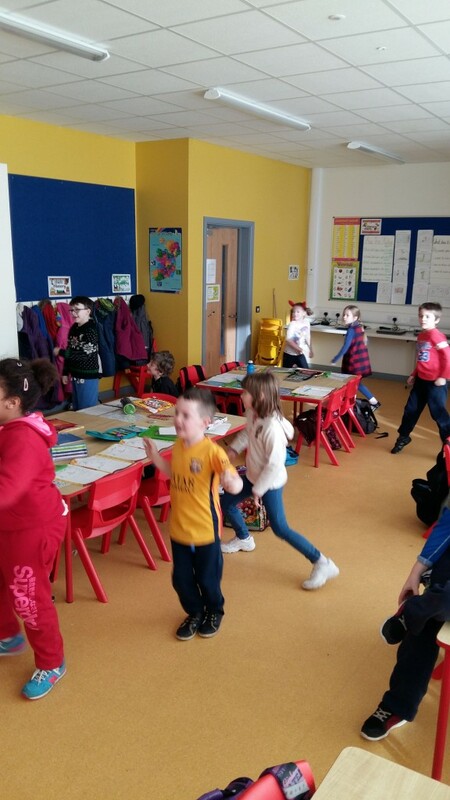 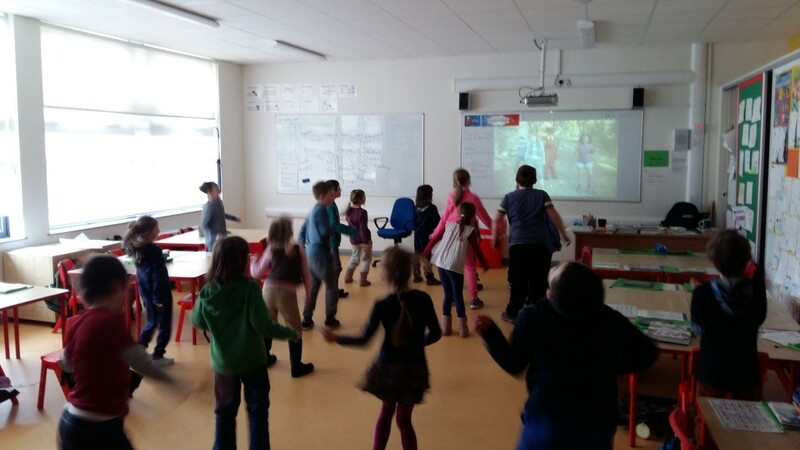 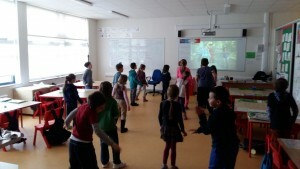 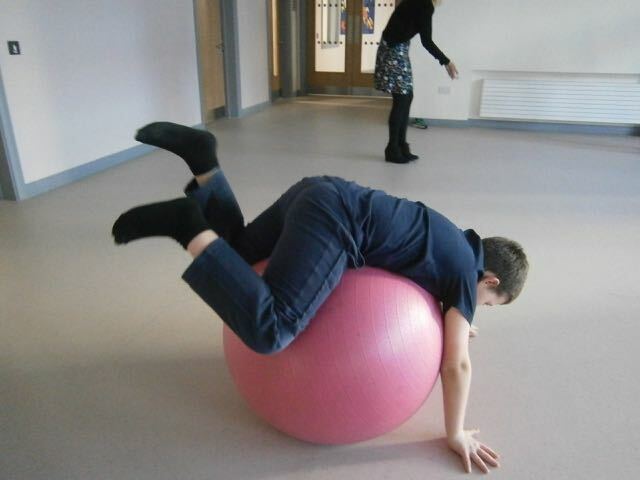 Jonathan’s First and Second Class have been reading, discussing and debating the importance of keeping fit and having fun – they decided to put this into practice! 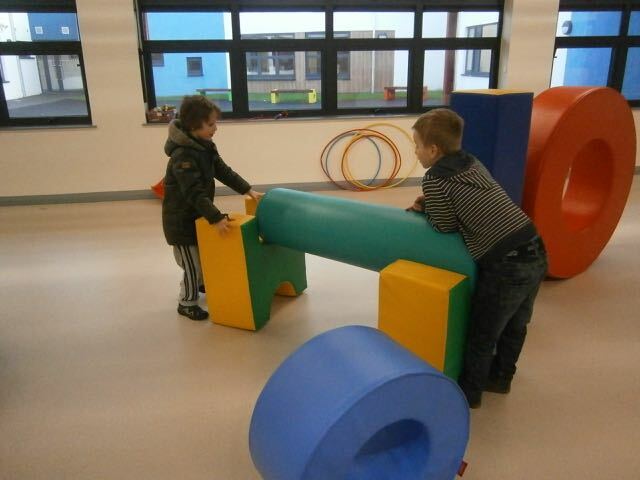 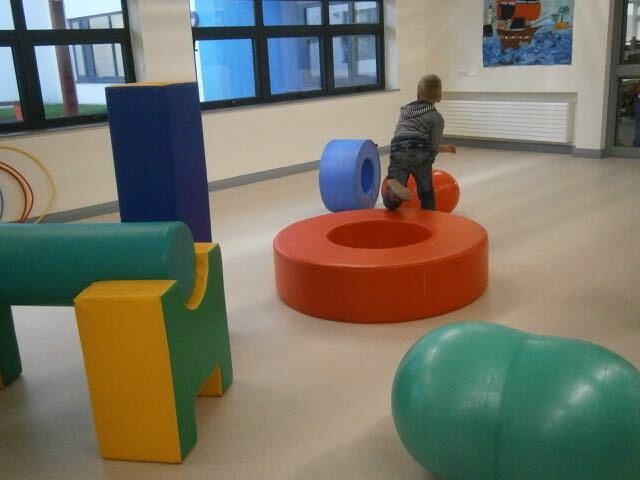 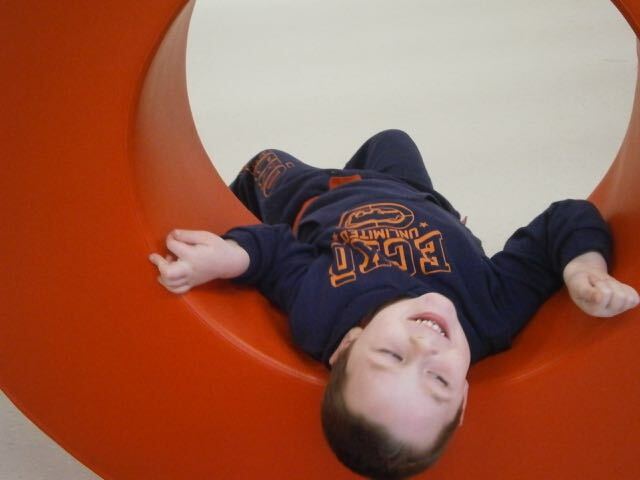 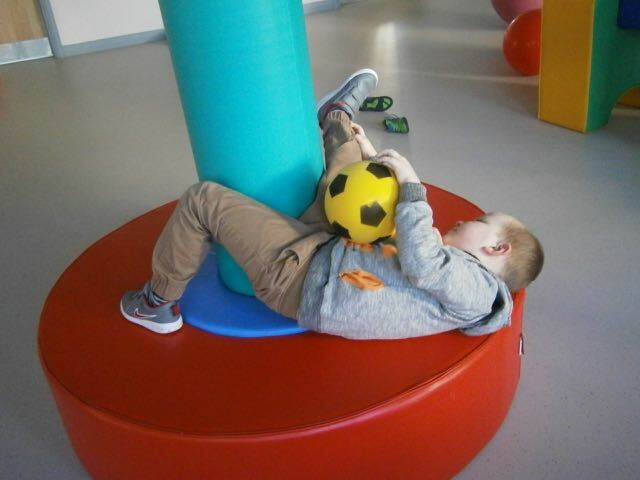 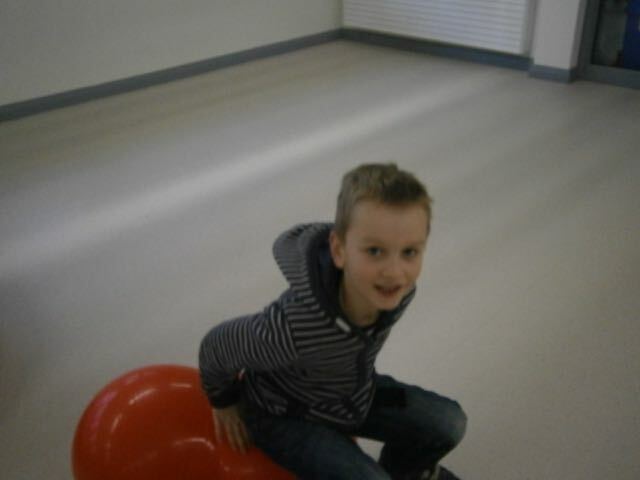 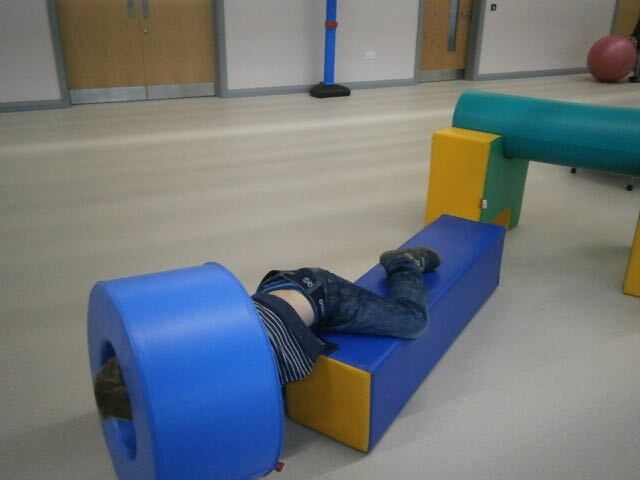 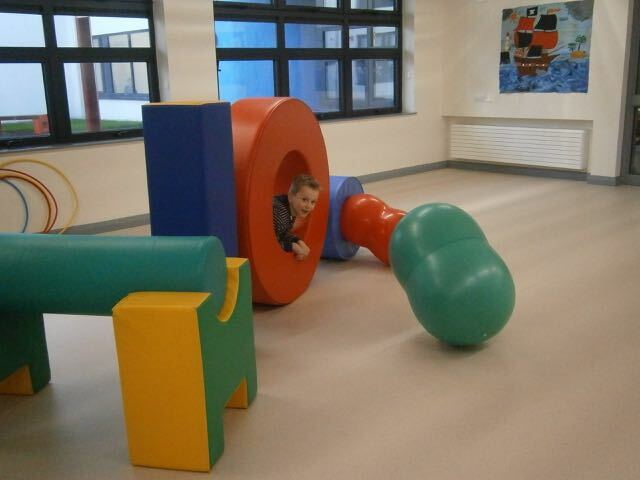 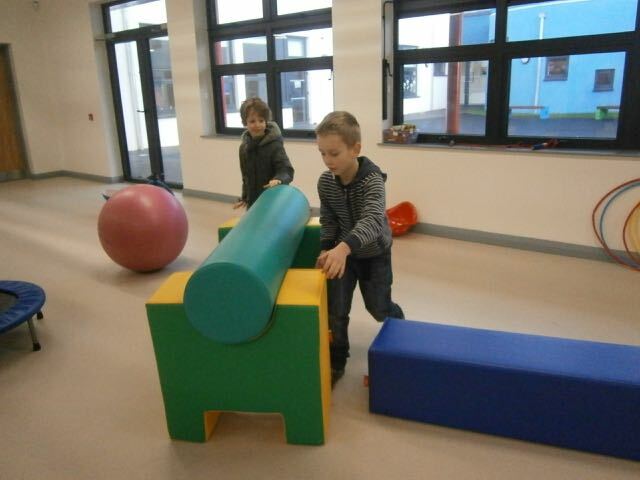 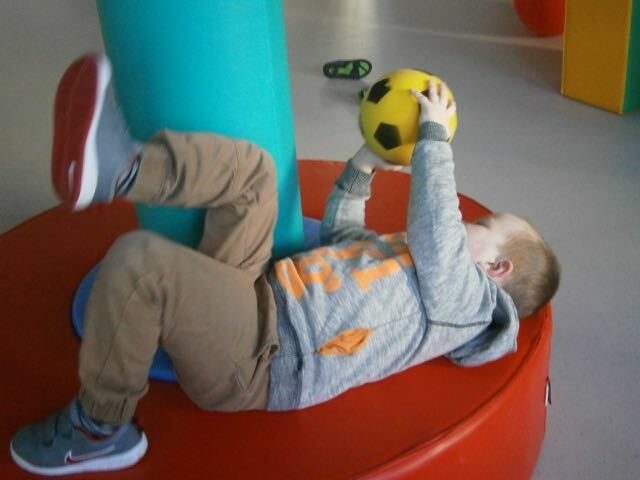 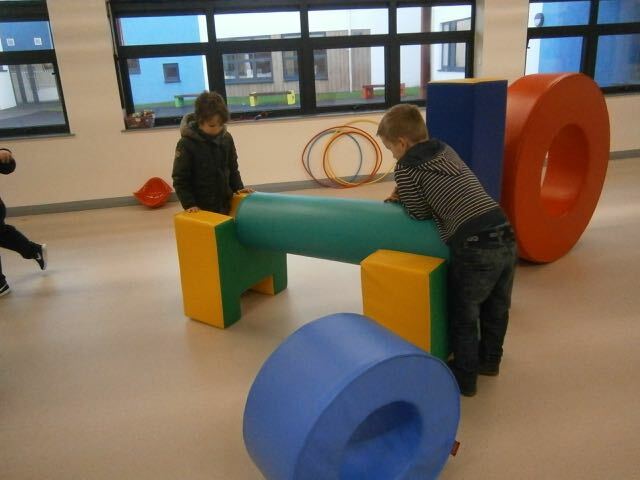 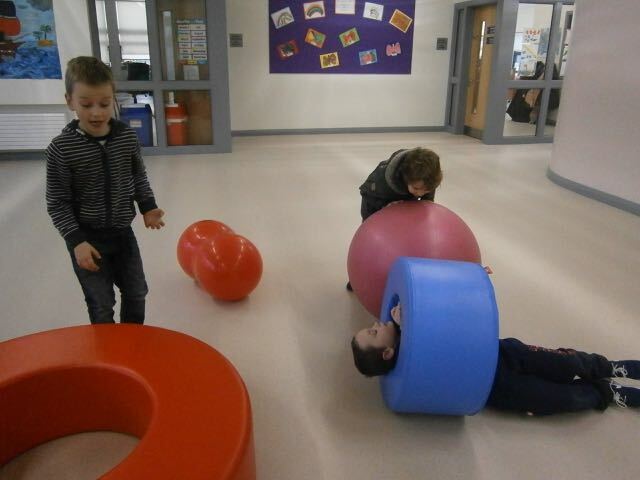 Our new soft play equipment gets lots of use every day from Junior and Senior Stars and visitors. 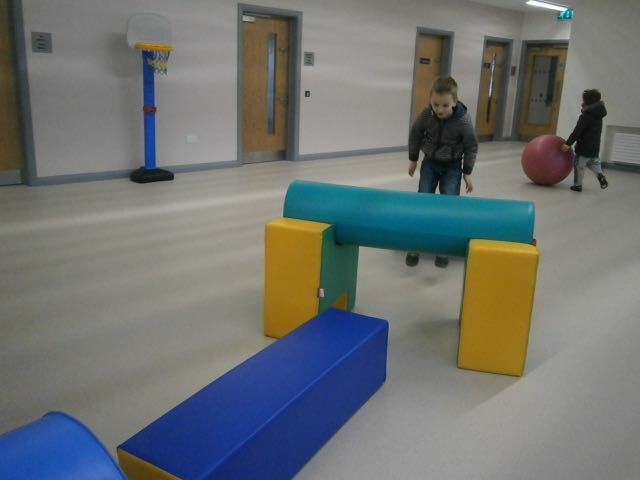 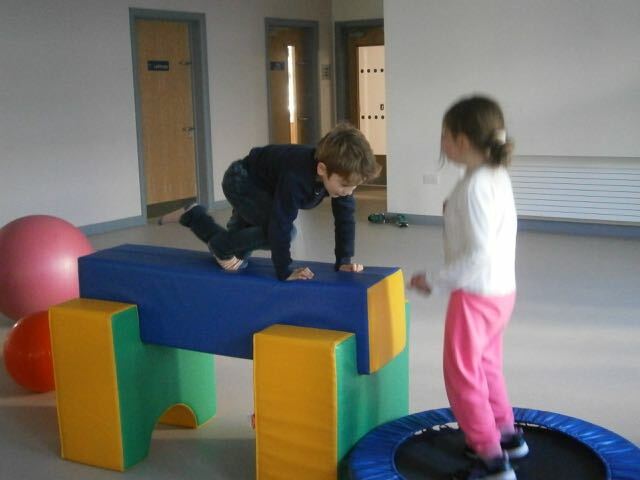 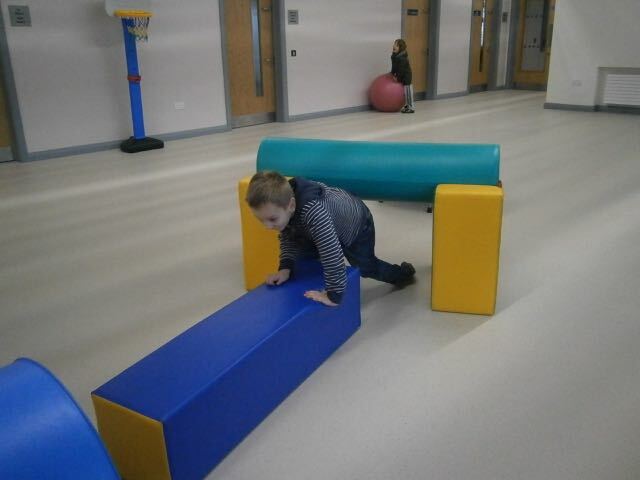 The equipment offers endless possibilities for balance, jumping, obstacle courses, throwing and bouncing. We are lucky to have a big space where we can leave everything out and available to be arranged in different ways by the children. 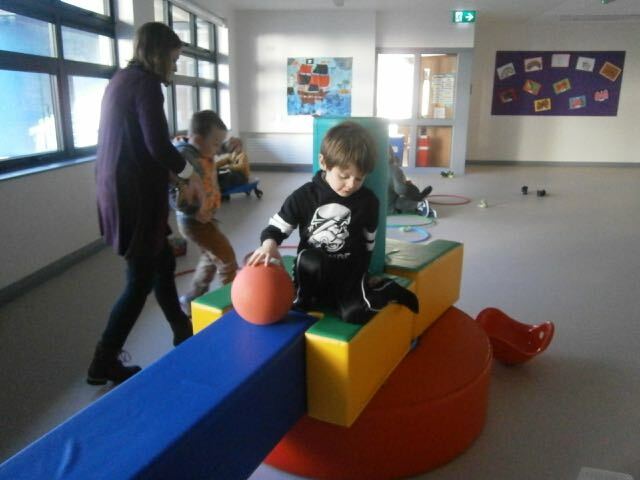 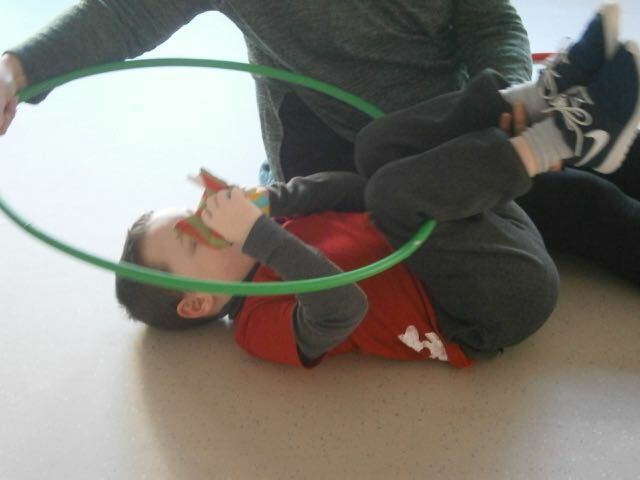 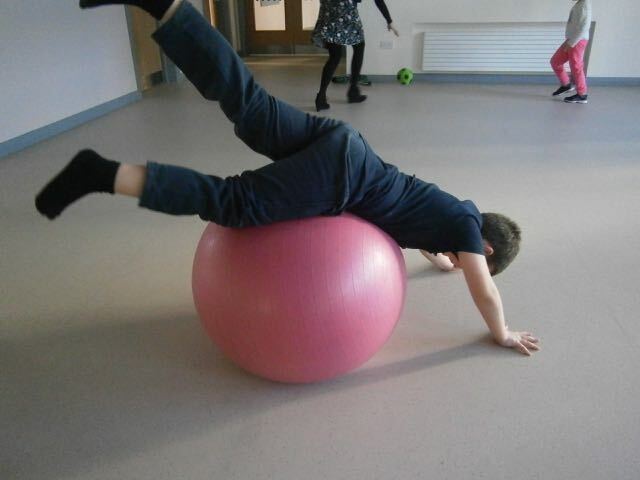 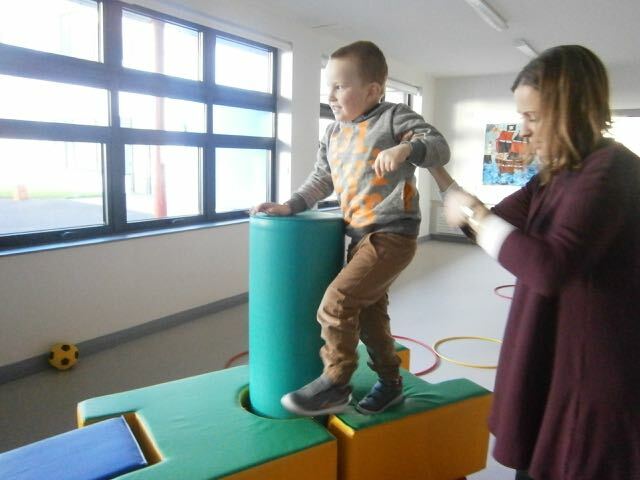 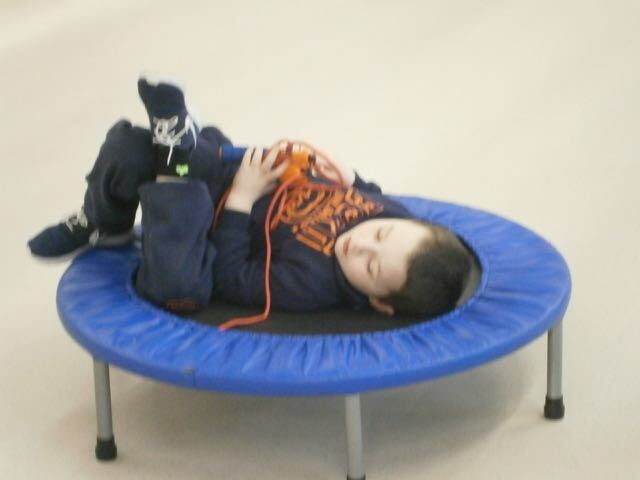 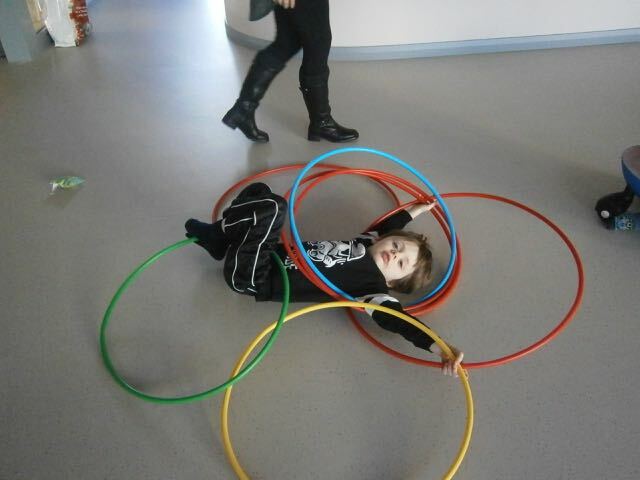 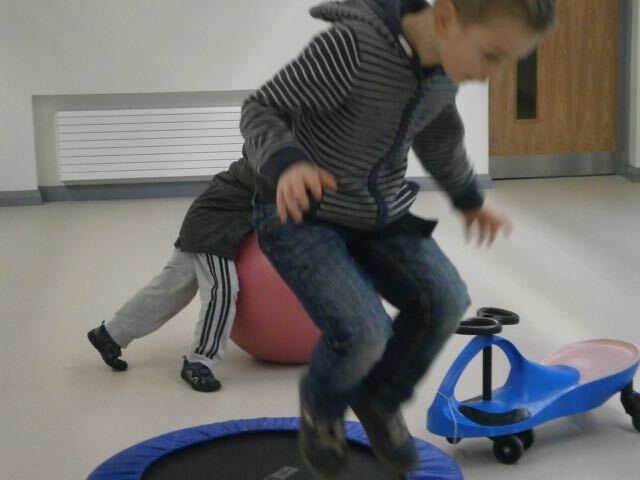 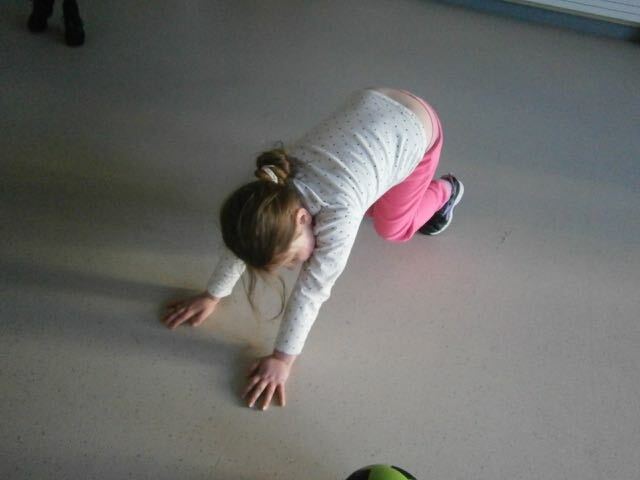 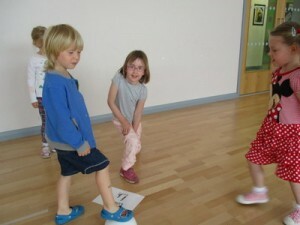 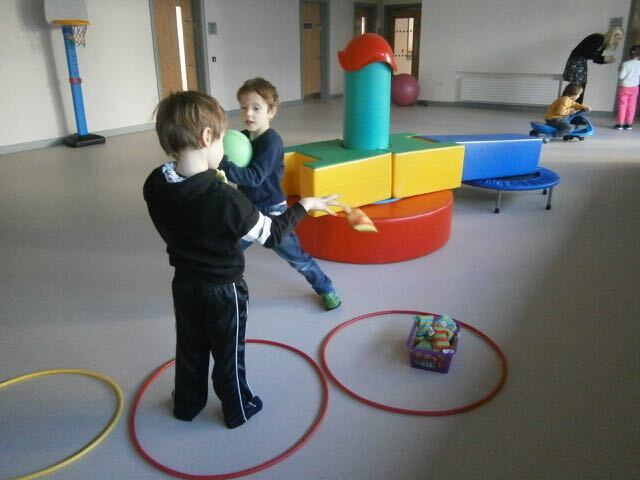 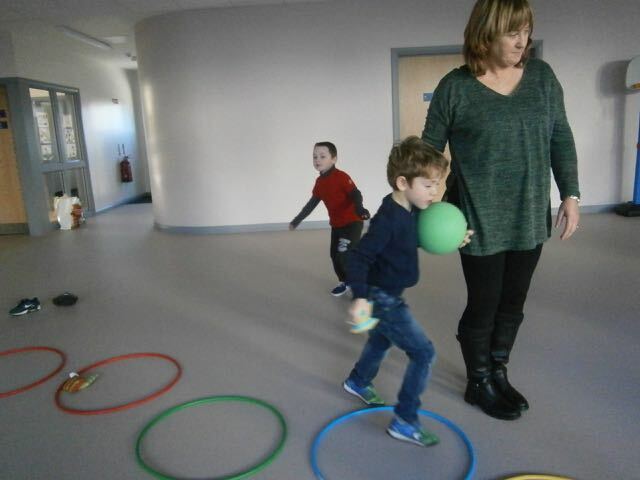 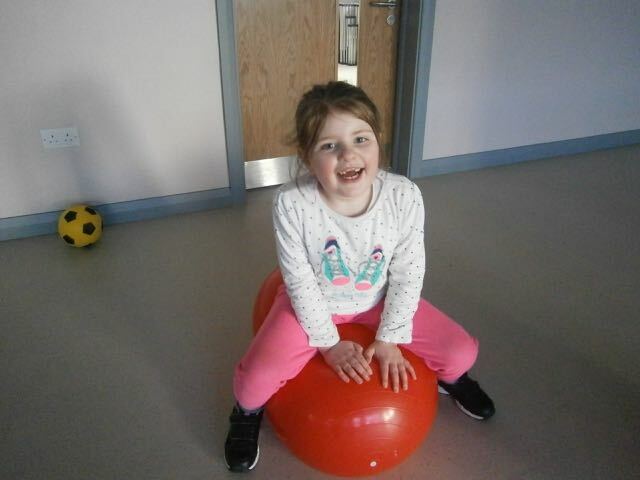 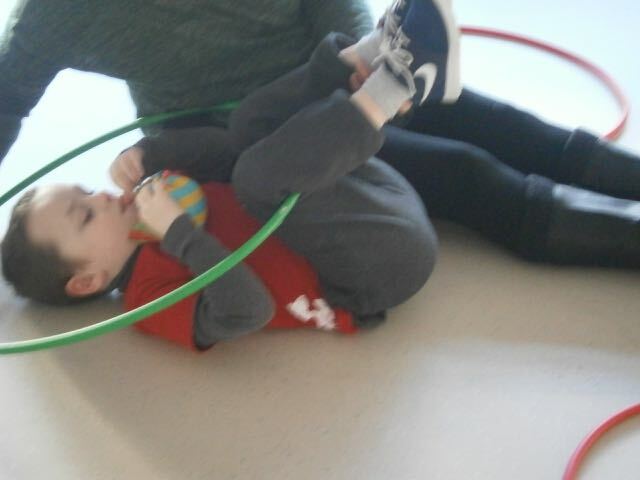 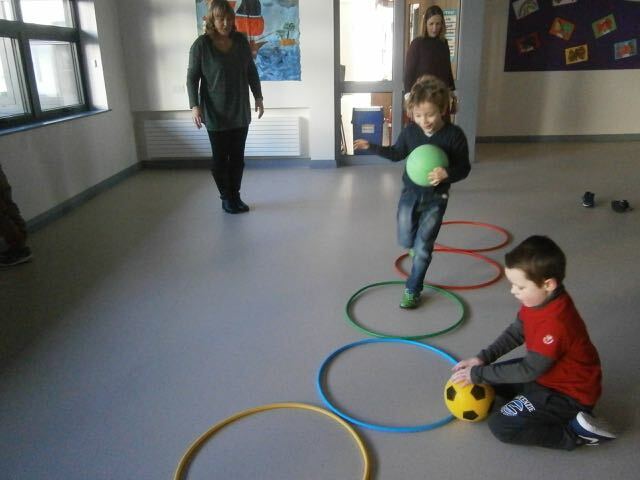 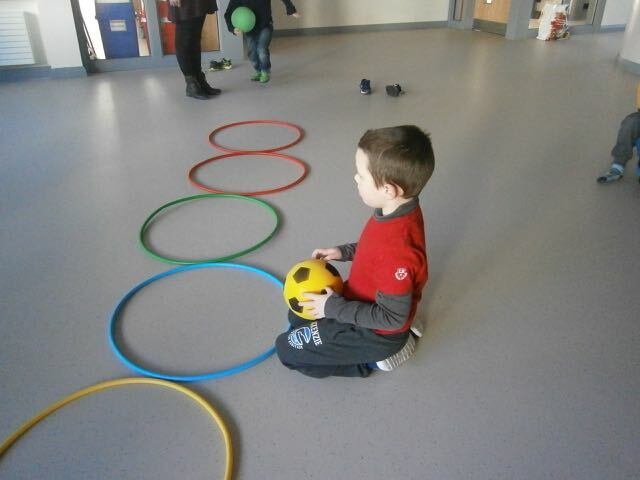 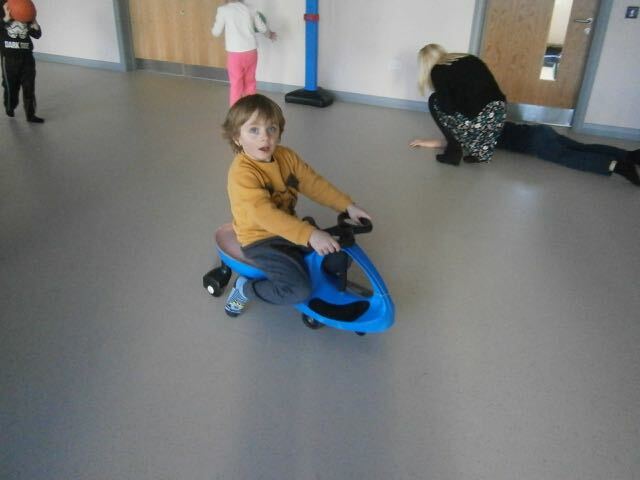 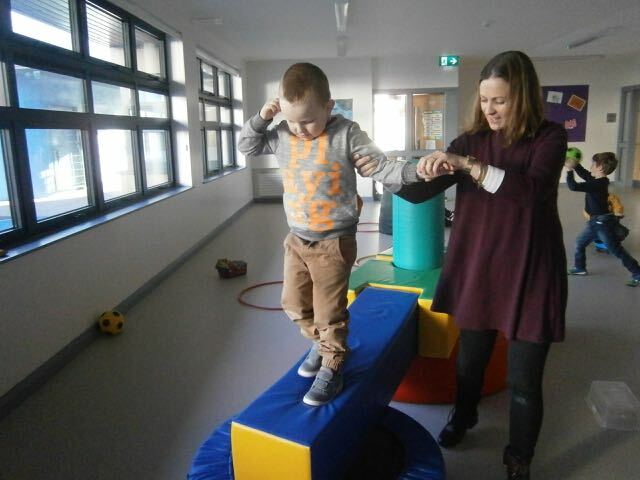 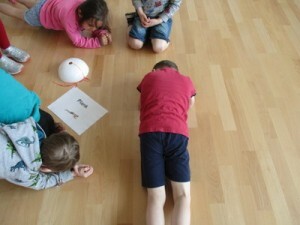 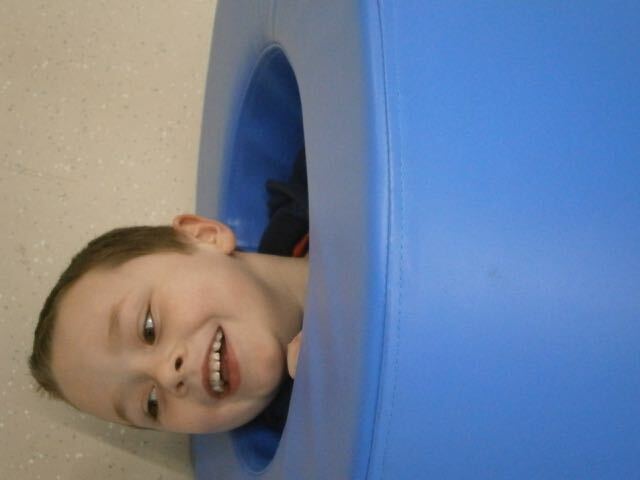 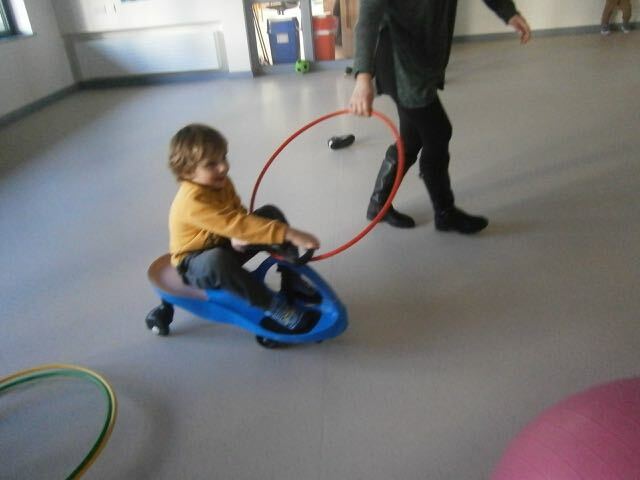 Both classes have at least one session each day for sensory circuits which involve a lot of active play and exercise.